This is a view from the Fraser, Colorado rodeo grounds. 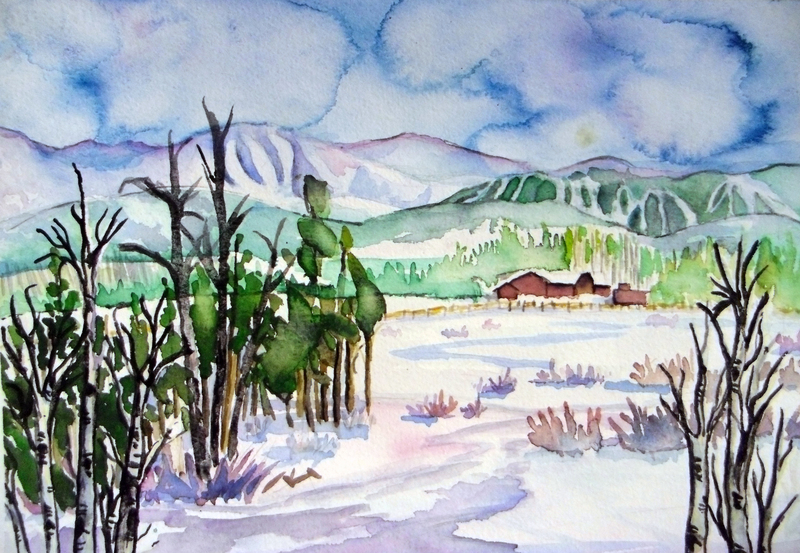 Parry Peak, James Peak, Mount Eva, Winter Park Ski Area, and St Louis Creek are all present in this Colorado winter watercolor painting. I am largely a Fraser artist focused on local stuff close to my heart, and am proud to call this place my home. 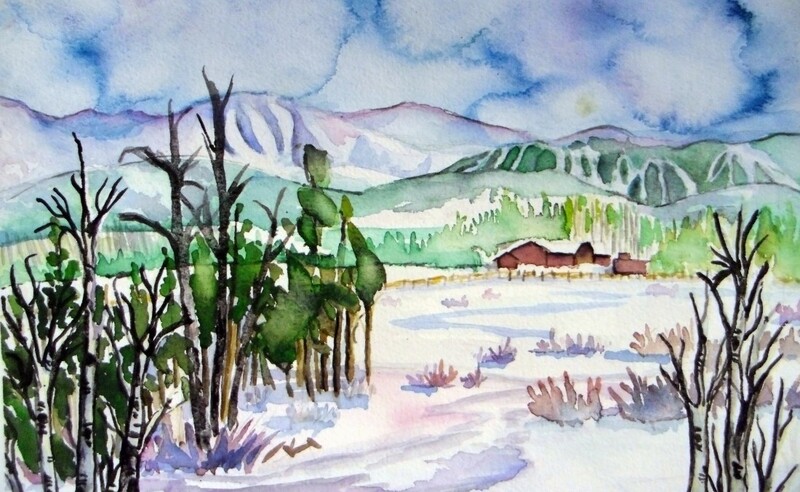 Thanks for looking and have a beautiful day!